The young harbor seal was suffering from respiratory infections, rescuers say. 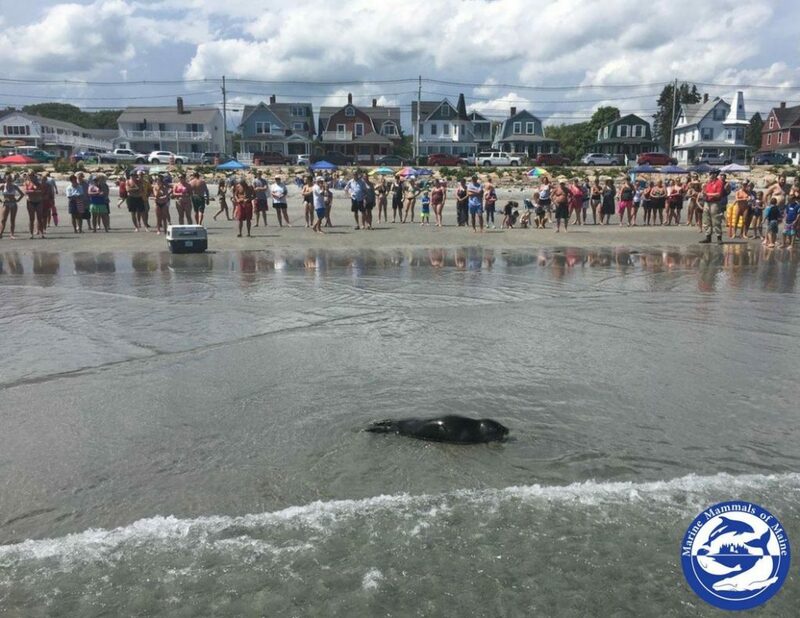 A seal pup stranded off Long Sands Beach was rescued after drawing a crowd of onlookers Friday. The young harbor seal was rescued by a team from Marine Mammals of Maine, a Bath nonprofit organization that rescues marine mammals and sea turtles. It was the organization’s 234th response this year. The rescue team collected and transported the weanling seal to their center, where he will be cared for. “He is still not feeling well due to some respiratory infections, but we’re hoping medication, nutrition and time will help,” the staff said on its Facebook page. Lifeguards and York police managed to keep the seal safe until the response team arrived. Lynda Doughty, executive director of Marine Mammals of Maine, said the 3-to-4-month-old seal appears to be on the mend. “He’s still in guarded condition but he is doing good,” she said Sunday. The organization is caring for two other seals and has room for one more. The center can perform triage and provide short-term care for other ailing seals. Marine Mammals of Maine is the only organization federally authorized to rescue marine mammals and turtles. Doughty said if all goes well, the seal will be released in two or three months.